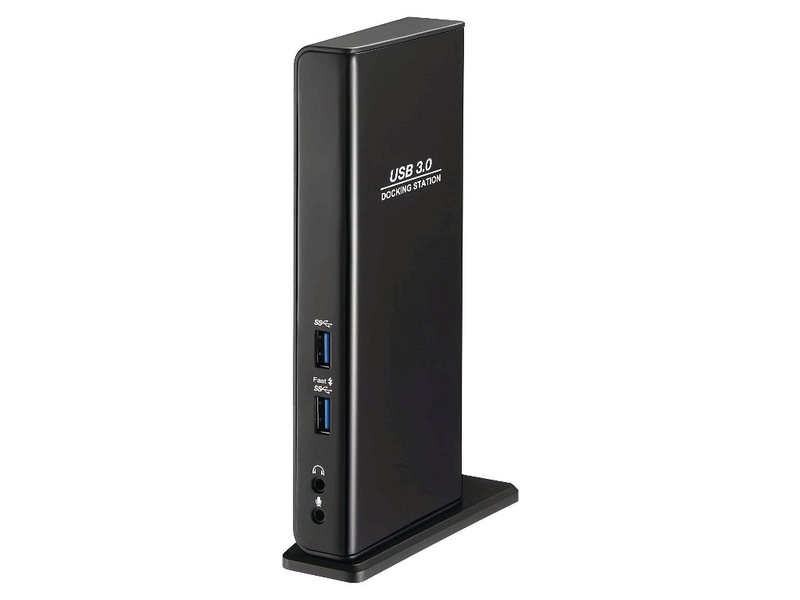 N 2-power's upright usb 3.0 dual display docking station allows you to expand your computers connectivity including dual displays, networking, additional usb peripherals and sound all via a single usb cable. the built-in usb 3.0 ports, enable you to enjoy superspeed data transmission between usb peripherals. additional usb 2.0 ports offer maximum flexibility. dvi and hdmi ports allow you to mirror your primary screen or extend your desktop. with its enhanced expansion capability and modern design, this dock is a versatile accessory for any home or office. to play a dvd on the monitor connected through the docking station you will need to meet all the above system requirements and have a computer with a dual core 2.0ghz processor or higher.